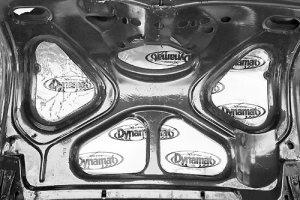 Dynamat Custom Cut Kits for 1955-1957 Chevrolet Tri Fives. 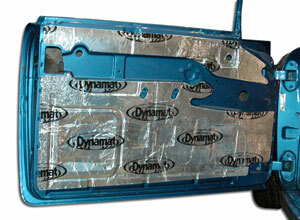 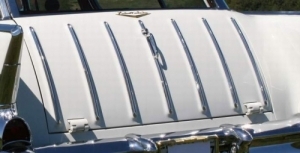 Dynamat Xtreme Custom Cut Kit to cover the roof skin of a 1955-1957 Chevrolet Tri-Five. 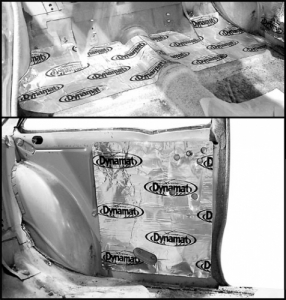 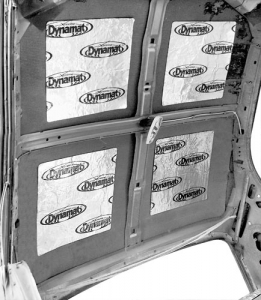 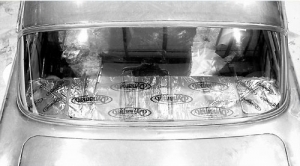 Dynamat Xtreme Custom Cut Kit to cover the trunk floor of a 1955-57 Chevrolet Tri Five Bel Air Sedan, Convertible, 150 and 210 2-Door.